The Seahawks have reportedly signed free agent defensive tackle Sealver Siliga to a one-year deal worth $1.4 million as they attempt to replace the departed Brandon Mebane. The Seahawks made their second signing of an outside free agent on Monday — their first two of the free agent signing period — agreeing to a deal with defensive tackle Sealver Siliga. A league source confirmed the signing to the Seattle Times as Siliga agreed to a one-year deal worth $1.4 million overall with $250,000 guaranteed. 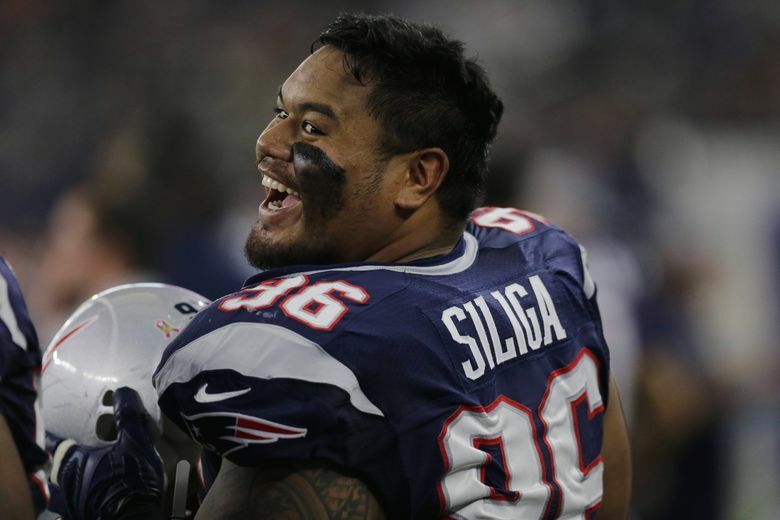 Siliga played the last two years and most of 2013 with the Patriots, but has been with the Seahawks before, having been acquired by Seattle from Denver in August, 2013 in exchange for John Moffitt. Siliga was released before the season,signed to the practice squad, released from the practice squad and then signed by the Patriots, where he has been ever since. However, the Patriots did not tender Siliga an offer as a restricted free agent (which would have earned him at least $1.67 million) and he became an unrestricted free agent. He made $660,000 last season. The 6-2, 325-pounder Siliga, who played in college at Utah, will add depth at nose tackle as the Seahawks attempt to replace Brandon Mebane, who last week signed with the Chargers. While Siliga never played in a regular season game for Seattle, he has played against the Seahawks, making four tackles in Super Bowl XLIX, a game in which he was officially a starter. He was also part of the Patriots’ goalline jumbo package on the fateful final offensive play for the Seahawks. It was reported earlier in the day that the Seahawks had signed offensive lineman Bradley Sowell to a one-year deal worth $1.5 million. The signing of Siliga fits in line with what has been thought to be Seattle’s general strategy in adding depth on the defensive line as the Seahawks have been linked to a handful of players who all would come with relatively inexpensive price tags, and potentially not impacting the compensatory pick formula. Siliga will not factor into the equation for 2017 comp picks since he was not tendered as a restricted free agent by the Patriots (his reported salary means he might not have anyway but it’s a moot point since he was not tendered).